Safer and more vital cities. Register now for a meeting on Tuesday 20th November, to discuss how YOUR city can be safer and more vital. See below for details. This book should be compulsory reading for all Australian urban planners and city councillors. It’s about much more than just cycling – it’s about how the Dutch blueprint for Active Transport infrastructure to build urban vitality, CAN be translated and used in car-clogged US and Australian cites too. The authors were the keynote speakers at the recent Australian Walking and Cycling Conference in Bendigo. Chris & Melissa are giving a presentation and launching their book in Melbourne. If you have anything to do with planning for a safe and vital city, register now to attend. In all Australian states and territories (excluding Northern Territory), it is currently mandatory for people to wear a helmet whenever and wherever they ride a bike. Bicycle Network is recommending that mandatory bicycle helmet laws be relaxed with a five-year trial permitting people older than 17 to choose whether they wear a helmet when riding on footpaths or off-road cycle paths. The full report with the recommendations, together with the study data can be read here. You can help by being proactive about safety on a bike. Lights and hi visibility clothing. Research has shown a whopping 270% increase in driver recognition of a cyclist with a flashing rear light compared to without, while another study revealed a 33% decrease in accidents for cyclists equipped with daytime running lights. Check out this report on a series of experiments to better understand how bicyclists can better be seen by drivers both during daytime and nighttime via the use of lights and high-visibility apparel. Bicycle Network has conducted a study to review their policy regarding mandatory helmet laws in Australia and had an article about this in the latest In The Loop online magazine. They will announce their policy on 31st October. 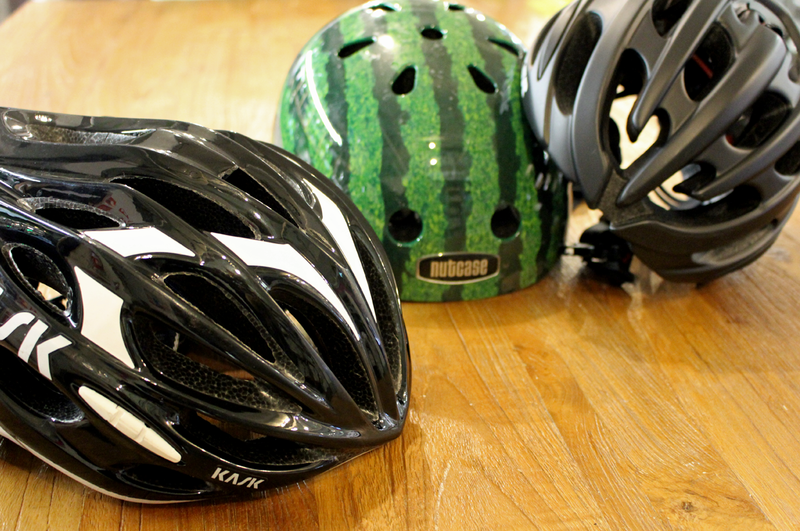 Researchers at University of NSW have also very recently completed the following academic study Bicycle Helmets: Systematic Reviews on Legislation, Effects of Legislation on Cycling Exposure, and Risk Compensation. Its quite a long paper of 130 pages, but the findings are summarised in the 3½ page Executive Summary. It’s worth reading. 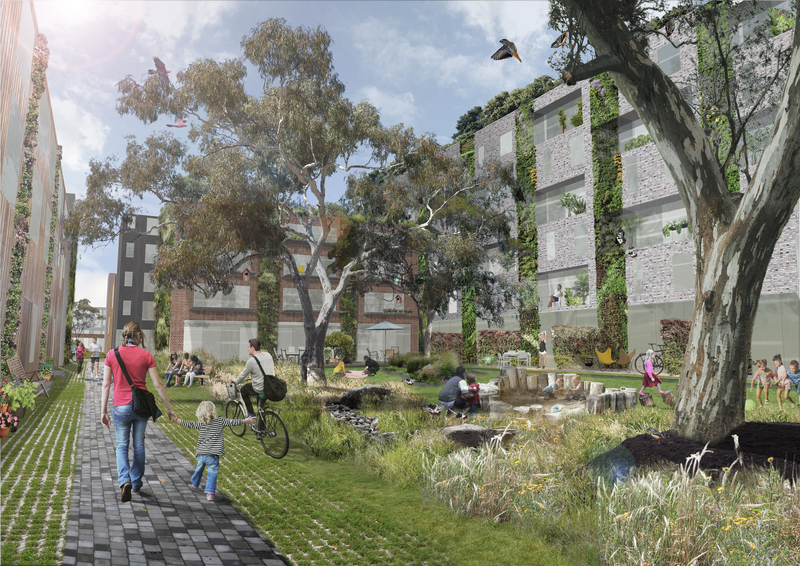 An impression of biodiversity sensitive urban design (BSUD) developed by the authors in collaboration with Mauro Baracco, Jonathan Ware and Catherine Horwill of RMIT’s School of Architecture and Design. Author provided. Urban nature has a critical role to play in the future liveability of cities. An emerging body of research reveals that bringing nature back into our cities can deliver a truly impressive array of benefits, ranging from health and well-being to climate change adaptation and mitigation. Aside from benefits for people, cities are often hotspots for threatened species and are justifiable locations for serious investment in nature conservation for its own sake. Australian cities are home to, on average, three times as many threatened species per unit area as rural environments. Yet this also means urbanisation remains one of the most destructive processes for biodiversity … Click here for the full article. This article is an extract from The Conversation under a Creative Commons license. Read the original article. WATAG believes that Box Hill CBD would really benefit from planning at all levels, with Urban Nature in mind. CROWAG will advocate for appropriate and sustainable development and lobby for a balance of all development with the need to preserve and enhance the quality of life for residents and the natural landscape of Whitehorse. Being a relatively new Action Group in the Whitehorse region, WATAG welcomes CROWAG as an even newer Action Group committed to trying to achieve development that meets community needs into the future, rather than being anchored in the present or the past. Click to visit the CROWAG website.